The combination of rapidly falling prices for crude oil and economic sanctions will force Iran to face a stark choice – ditching a deal with the West to pursue its nuclear program means near certain continued economic decline for the nation as a whole. Iran’s President Hassan Rouhani wants a deal, but hardliners have stopped answering IAEA questions about past and current efforts to build a nuclear bomb. With all the frantic and confusing diplomatic utterances in the media over the past several weeks of whether Iran and the western powers will come to an agreement over its nuclear program, the fact remains that the two sides are still far apart. While diplomats always like to point to the fact that the two sides are talking, that doesn’t mean an agreement is in sight. 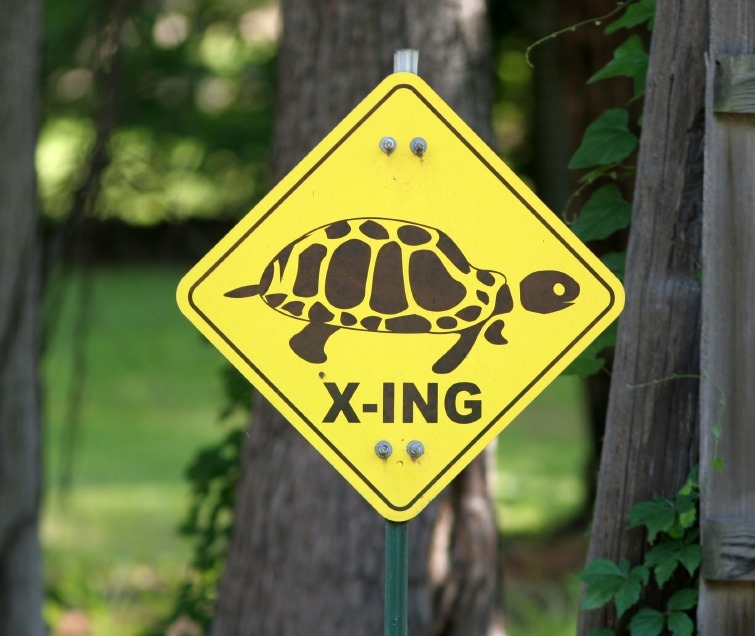 What appears to be happening is that Iran has gone “post turtle.” This is an American idiomatic phrase, with origins in west Texas, which refers to the circumstances that a turtle perched on top of a fence post faces in terms of dealing with the situation. It doesn’t fully understand how it got there, and it needs help getting down. Iran has perched itself on top of its uranium centrifuges, and for reasons of national pride and internal politics, cannot figure out how to climb down and be able grapple with the extraordinary demands that the West feels it must address to have an agreement. For their part, the western powers want more than just a reduction in the number of centrifuges, which are the key to making highly enriched uranium for bombs. According to statements made by U.S. Secretary of State John Kerry in a TV news interview last week (video), the key elements of an acceptable deal with Iran involves stopping uranium enrichment include transparency at Natanz and Fordow uranium enrichment plants, stopping plutonium production at the Arak heavy water reactor, and stopping other covert bomb making activities including testing explosive triggers for bombs and seeking ways to reduce the size of a bomb to fit on top of a medium range missile. What’s clear is that where Iran once had so-called “covert” facilities, with some underground, the combination of intelligence gathering activities by the western powers has revealed all of them and, for the most part, what they do. So the question becomes will Iran admit it has this work going on or will it try to offer a fig leaf saying, in effect, well, yes, we were doing that, but we gave it up, trust us. For the Obama administration, and Israel, its key ally in the region, there is no way that offer is going to fly. Iran more or less knows this which is why the post turtle has stopped talking at all about its position. So what happens next? What happens if the November deadline for reaching an agreement comes and goes without one? Writing in the Washington Post this week, foreign policy expert Ray Takeyh writes that hardliners in Tehran are starting to think about what happens if the nuclear negotiations fail. According to Takeyh, the conservative elements of the political establishment in Iran think the country can go it alone without being too bothered by economic sanctions or declining oil prices. In their world view, all that matters is that Iran reasserts its regional dominance in the Middle East by pursuing its nuclear weapons program. Also, these same conservatives, with their religious perspective, think the less influence the West has on the country, the better. In Takeyh’s view Iran’s hardliners are “poised to choose nuclear power over economic prosperity.” If they do make that choice, he says, the consequences for the nation will be “catastrophic” in terms of economic decline and a lower standard of living for an increasingly restive population. For the western powers, a nuclear Iran is untenable because it will set off an arms race in the Middle East that could make the decades old standoff between India and Pakistan look like a walk in the park. It is time for John Kerry, the IAEA, and the European powers to figure out a way to get that turtle off the fence post before he hurts himself, or others, in a fall. This entry was posted in Iran, Nuclear. Bookmark the permalink.